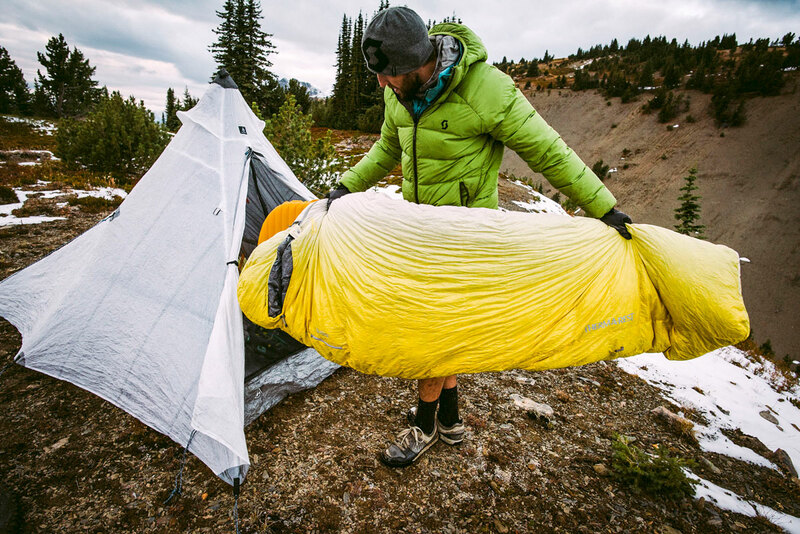 We hope you’ve found the sleeping bag or camp quilt of your dreams by following this five-part series. 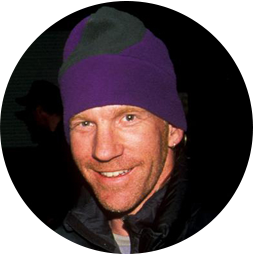 But don’t rest on your laurels, because the arduous journey for warmth isn’t over. The perfect bag or quilt won’t stay perfect without proper care. Here are a few tips on maintaining your fluffy companion and keeping your bag or quilt in tip-top shape for the next adventure. Wearing sleep clothing at night will maintain your bag’s integrity for extended periods of use. By going to bed with a thin baselayer on, you’ll not only sleep warmer by wicking moisture away from your body, but you’ll also keep your body oils from negatively affecting the bag or quilt. If you’ve noticed small areas on your bag where oil or dirt has built up, we recommend hand washing just that single area initially. Thoroughly washing your bag or quilt should not be taken lightly. In fact, we only recommend a full cleaning if your bag has seen extended use or you’ve noticed that extensive amounts of oil and dirt are hindering your bag’s loft. 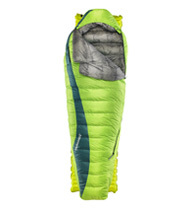 The fact is, washing your sleeping bag will remove some of its water resistant qualities. In our research, we’ve found that retreating your bag or quilt at home will never give you the quality of water resistance you get from the bulk treatment the factory applies. However, after extended use, body oils can begin to build up on your bag and these will, over time, break down its insulation. So with a thorough wash, you will remove grime that would, if left on, reduce your bag’s warmth. So how should you wash your bag? Beware: a top-loading washing machine with an agitator can destroy your bag. So seek out a front-loader (found at most laundry mats) and use a non-detergent soap. We also recommend running extra rinse and spin cycles for best results. No front-loader? No problem. Go old-school and hand wash your bag in the tub. But what if your bag is filled with DWR (Durable Water Repellent) down? 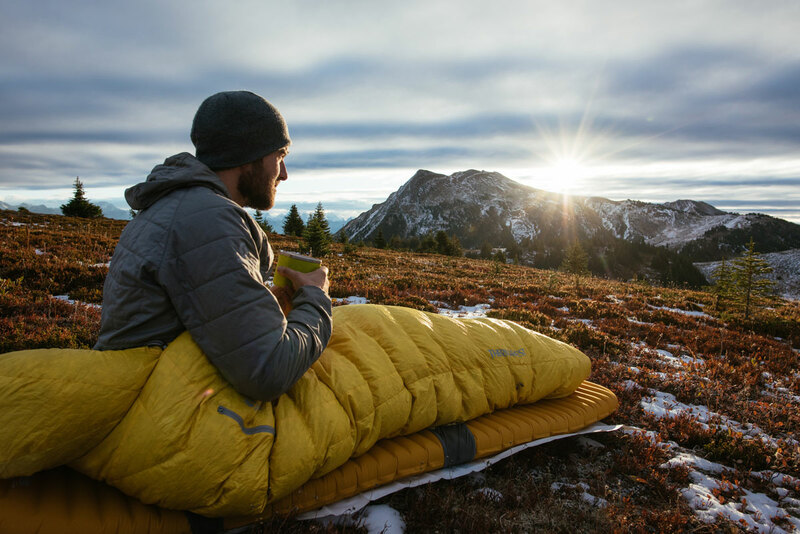 If your dream bag sports treated down that’s water resistant (such as Nikwax® Hydrophobic Down™ used in all Therm-a-Rest down sleeping bags and quilts), we recommend using a down-specific wash designed to maintain the insulation’s water-repellent qualities. Using a standard detergent will leave water-attracting residues on your down. However, a DWR specific soap (such as Nikwax’s DownWash™) will maintain the insulation’s water-repellent qualities while removing harmful oil and dirt. After a few washes, it’s essential to restore the bag’s DWR coating by using Nikwax Down Proof™. This may seem obvious, but keeping your bag or quilt dry, as often as possible, whether you’re in the field or at home, helps preserve its insulating qualities. If you’ve washed your bag, we recommend running it through a large industrial dryer at low heat. Keep in mind that a dryer running too hot can melt fabrics on your bag. Low heat is crucial. Also, take care that the bag doesn’t expand and get stuck next to the dryer’s heater. You can keep your bag moving inside the dryer by tossing in a few tennis balls. This will also help break up the down clusters—restoring the bag’s loft. You can always hang-dry your bag too. Pro Tip: After cleaning and drying your bag, turn it inside out and give it some sun … literally. Allowing your bag to soak up some rays will kill bacterial, improving your sleep ecosystem. 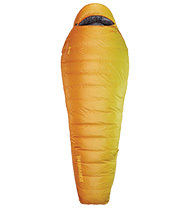 A critical mistake many people make when storing their sleeping bag or camp quilt is packing it into a stuff sack. This is slowly but surely ruining your insulation by compressing it. Many bags come with an additional storage sack as well as a stuff sack. This sack, usually mesh and much larger, is specifically designed to let your bag breath without compressing the insulation. If you don’t have a storage sack, you can hang your bag up or lightly fold it and leave it unpacked. We hope this series has or will help you find and maintain the perfect sleeping bag or camp quilt. But we understand that there are many choices, so don’t hesitate to contact us for further information. Thanks for reading!